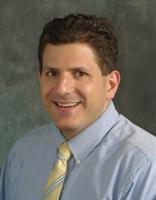 Directory > Providers > Dental Care > Dentist > NH > Amherst > Joseph Cariello, D.D.S. Dr. Joseph Cariello is a dentist in Amherst, New Hampshire (NH). He is the only dentist at his practice, so patients receive his full and undivided attention. Dr. Cariello strives to keep his superior care affordable, and genuinely delights in improving the oral health for everyone who comes under his care. His practice offers state-of-the art equipment and the optimum environment for improving oral health. For superior dental care, call Dr. Joseph Cariello, top dentist in Amherst, New Hampshire (NH). Office Staff Dr. Cariello has two dental assistants, four hygienists, and three administrative staff. Everyone on his staff has the common goal of surpassing patient's expectations while providing unmatched oral care. Services Dr. Joseph Cariello looks forward to building trusting and lasting relationships with new patients. 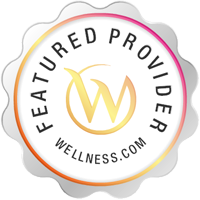 As a dentist in Amherst, New Hampshire (NH), he offers modern and innovative corrective, general, and cosmetic procedures. Dr. Carriello provides implants and veneers, Invisalign, and numerous filling and cosmetic options to give patients the optimum smile theyve always desired. If seeking a top dentist in Amherst, New Hamphsire (NH), call Dr. Cariello for an appointment.